Amy Sherald, Light is easy to love. (detail), 2017. Oil on canvas, 54 × 43 inches (137.2 × 109.2 cm). Collection of the Nasher Museum of Art at Duke University, Durham, North Carolina. Gift of Jennifer McCracken New (T’90, L’94) and Jason G. New (L’94), in honor of Sarah Schroth; 2017.3.1. Image courtesy of the artist and Hauser & Wirth, New York, New York. 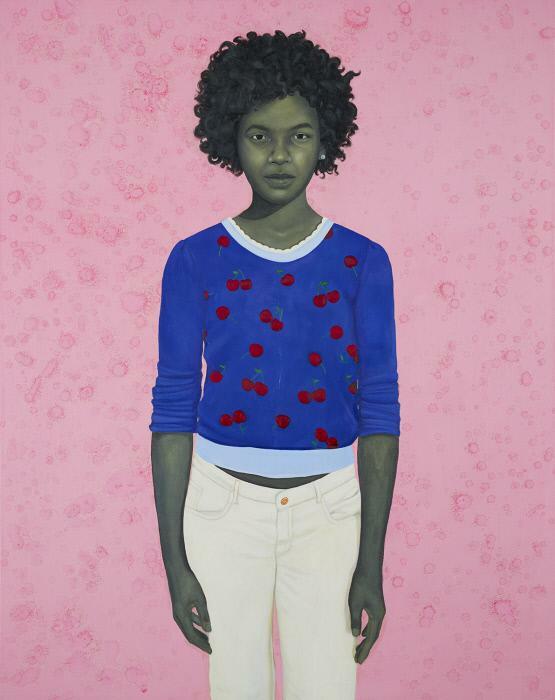 © Amy Sherald. Photo by Joseph Hyde. Nasher visitors will recognize this artist from the exhibition Southern Accent: Seeking the American South in Contemporary Art. A 2017 portrait by Georgia native Amy Sherald, entitled Light is easy to love., was a gift from Jennifer McCracken New (T’90, L’94) and Jason G. New (L’94).